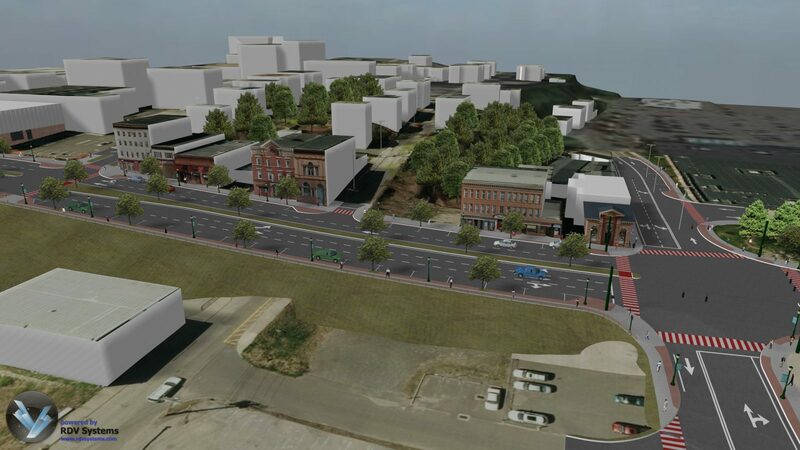 This model shows the proposed improvements and streetscaping for SR-115, which is also Main Street in the Town of Derby, CT. The model is being used for coordination between town officials and Connecticut DOT, and for outreach to the public and business owners. "Realizing the power and effectiveness of clearly communicating engineering solutions to both clients and the public, Luchs has been a partner of RDV since 2013. Luchs has successfully used RDV with ConnDOT, the Cities of Derby, Meriden and Danbury projects. As a firm that strives to create design that harmoniously fits within our clients’ communities we are committed to work with RDV to enhance the design process."